The heartache that wives of WWII soldiers must have felt when their husbands left for war is unimaginable! 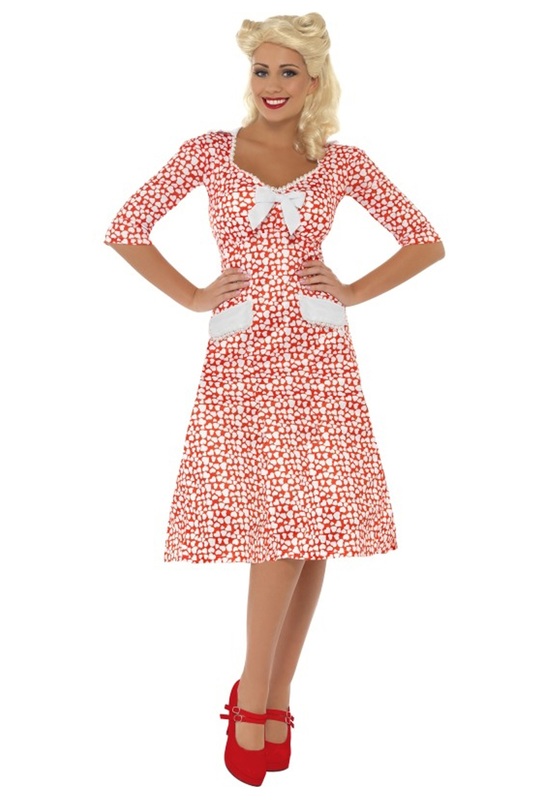 You can look just like a 40's housewife in this WW2 Sweet Heart Costume. If you have to pine for your long lost lover at least you can do so in style!